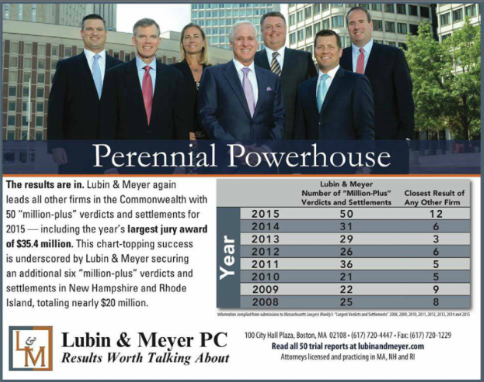 Lubin & Meyer PC, with attorneys practicing in Rhode Island, Massachusetts and New Hampshire, secured 56 verdicts and settlements of $1 million dollars or more in 2015. Consistently, Lubin & Meyer dominates the largest verdicts and settlements list as compiled by Lawyers Weekly. 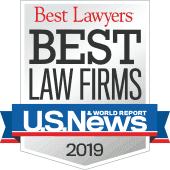 This year, the firm resolved more than four times as many million-plus verdicts and settlements than the next closest firm.